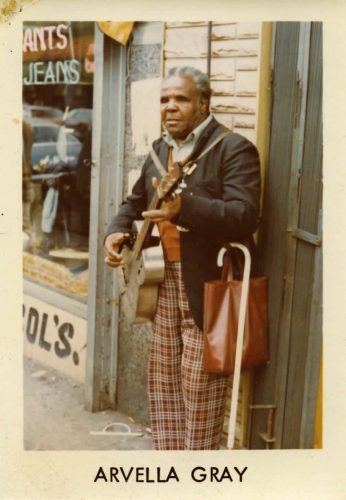 Blind Arvella Gray played on Maxwell Street from the 1930s through to the 1980s. He was a friendly face and sound at the Market, and personally gave this promotional photograph to Lori Grove there. All images published by the Maxwell Street Foundation within this website are copyright of the artist and are for educational, personal, and/or noncommercial use only. For any other use, please contact gro.n1555622234oitad1555622234nuoft1555622234eerts1555622234llewx1555622234am@of1555622234ni1555622234.